East India (1990 version) - Brandy, Orange Curacao, Maraschino Liqueur. The East India is a brandy-forward, boozy concoction. With only a few modifiers in small measures, this one packs a punch. Note that this particular recipe isn’t the original version of the East India cocktail that was published in 1882 but rather a subsequent version that was released 18 years later in the year 1900. The original version was raspberry syrup instead of pineapple syrup and Bokers bitters instead of Angostura. 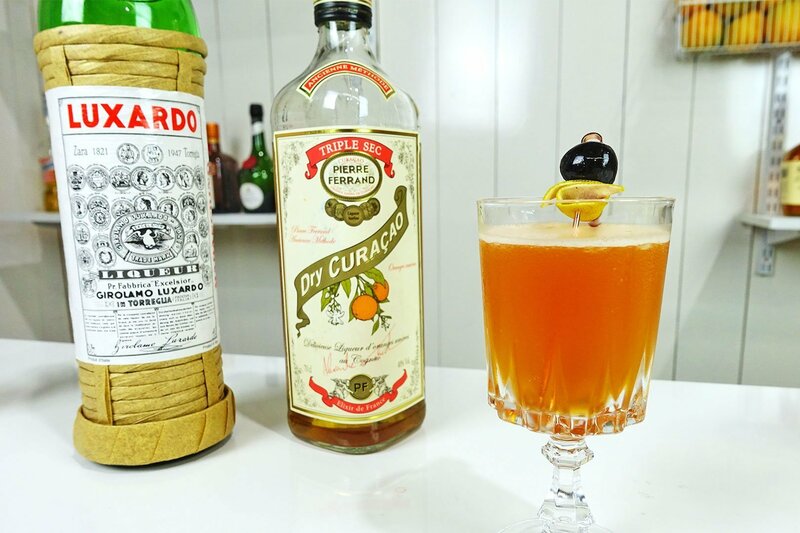 This entry was posted in Cocktail Recipes and tagged Angostura Bitters, Brandy, Maraschino Liqueur, Triple Sec.